Happy New Year, friends! 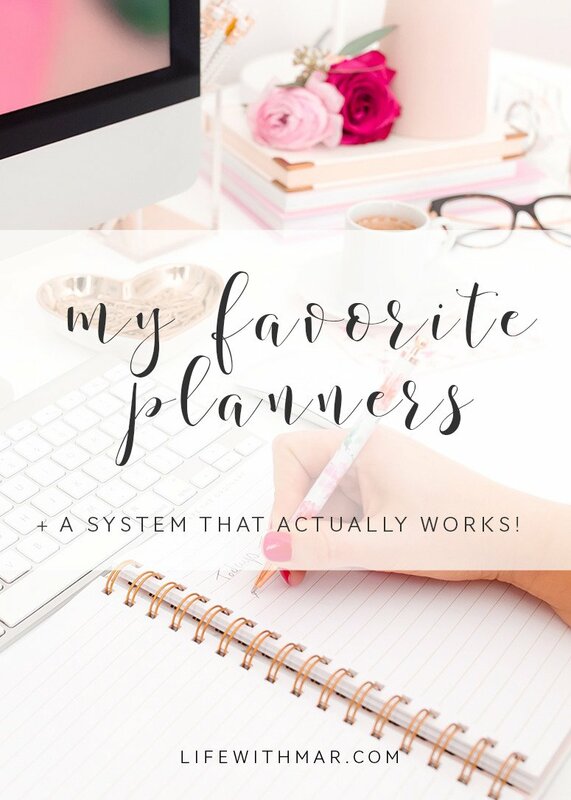 It’s goal-setting season, so I thought I’d share my favorite planners + the system I use that actually works. I am a digital gal for sure, but there’s something about pen and paper that just works. So I combine my digital efforts with paper planners. And yes, that’s plural. 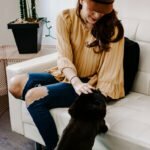 I manage multiple businesses and life roles and don’t need everything in one place! 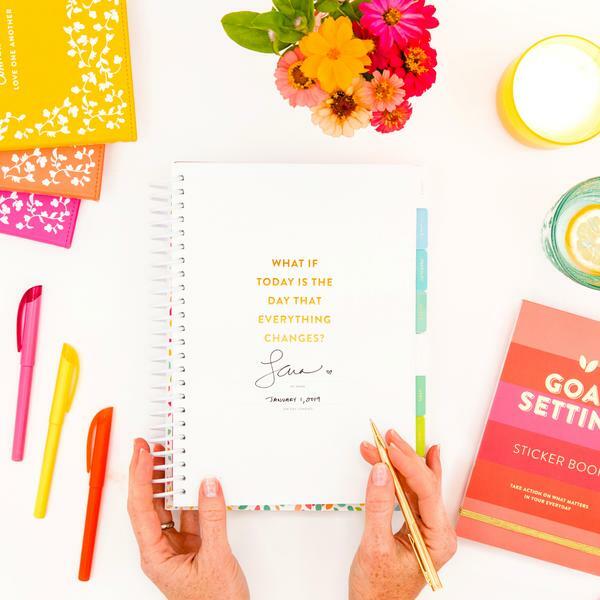 This is the first year I’m talking about a goal-setting planner, even though I’ve used this before. 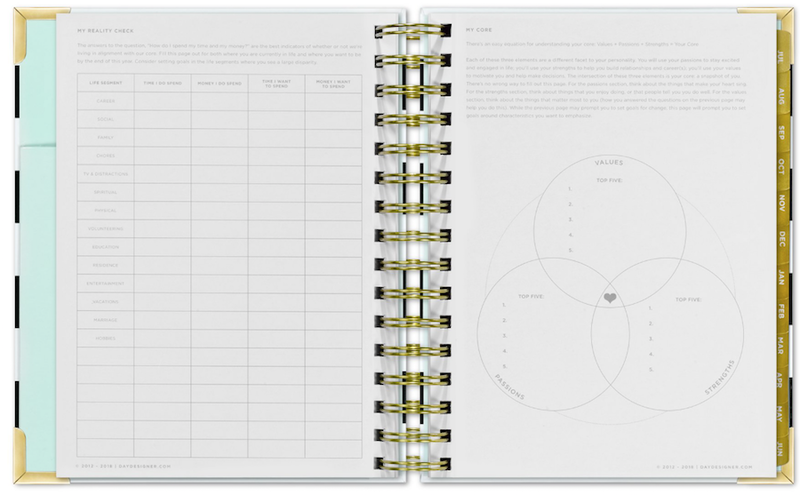 You’ve probably heard of PowerSheets, which is the gold standard in goal setting. I used this planner a few years ago and it was amazing. I did fall off the bandwagon, but am going to start again this year and purchased a 6-month undated planner. Talking about PowerSheets could be an entirely different post in itself, so I will try and just highlight what’s so great about these. 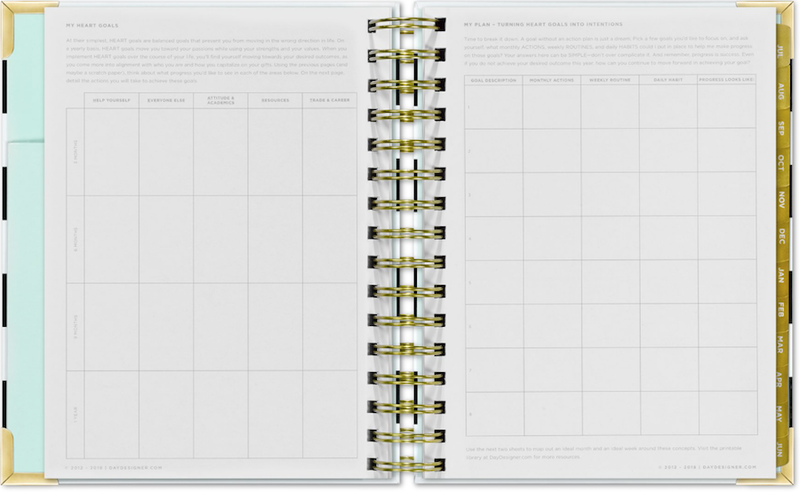 If you hate goal setting, you’ll love the process involved in PowerSheets. It really helps you uncover what’s important to you and then break it down into tiny tidbits that are totally manageable. You’ll move closer toward your goals bit by bit and start feeling like you’re living your life with intention, rather than it all just whizzing by. Look, if you’re into paper and pen planning then you want something pretty. This is that! And there’s loads of cute stickers and optional add-on items, too. You’re more likely to succeed when you share your goals, and boy is the Cultivate What Matters community supportive! 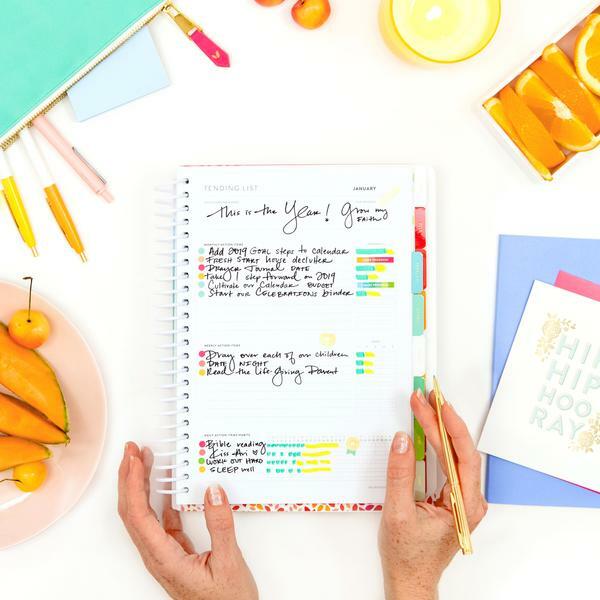 From sharing inspirational stories to tips on the best pens to use, this community will help you reach your goals this year! The emails and videos sent out on the email list will also keep you motivated. I’ve been on the Day Designer bandwagon for years. This is the planner that gave me planner peace! I cannot stand planners that only have horizontal space, or time slots, so the fact that I can write a giant to-do list on this daily planner makes me so happy. Plus, it’s totally gorgeous. And you can find loads of cute stickers on Etsy! I buy the mini Day Designer but it comes in two sizes: Flagship and Mini. The first few pages contain some worksheets you can work through on how you ideally want your days/weeks/months to look like. I’ll be honest, I haven’t gone through them this year but I did the first time and they are super helpful. 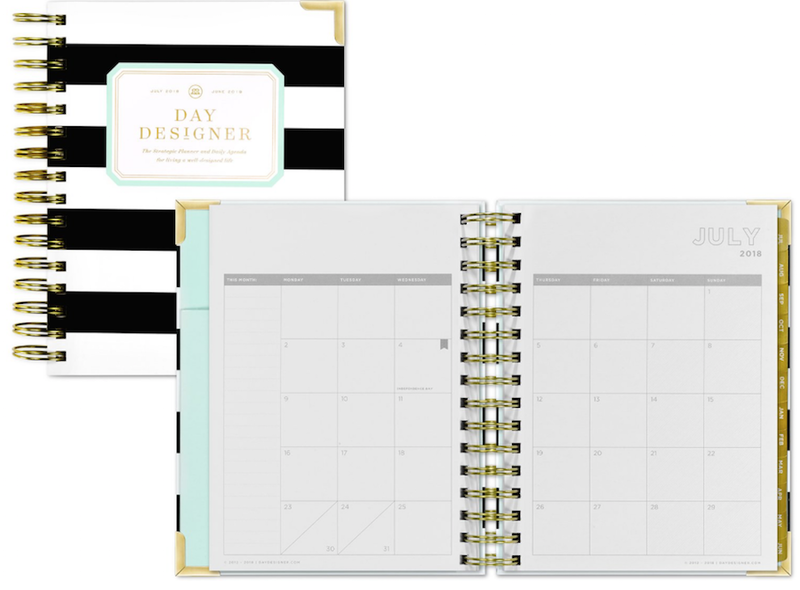 I use the Day Designer as my primary planner for the day. I dump my top 3 goals, scribble in an idea for dinner and a to-do list as the day goes on. Since this is my main planner, I’ll sometimes slot in stuff for my blog too even though I have a whole separate planner for that. 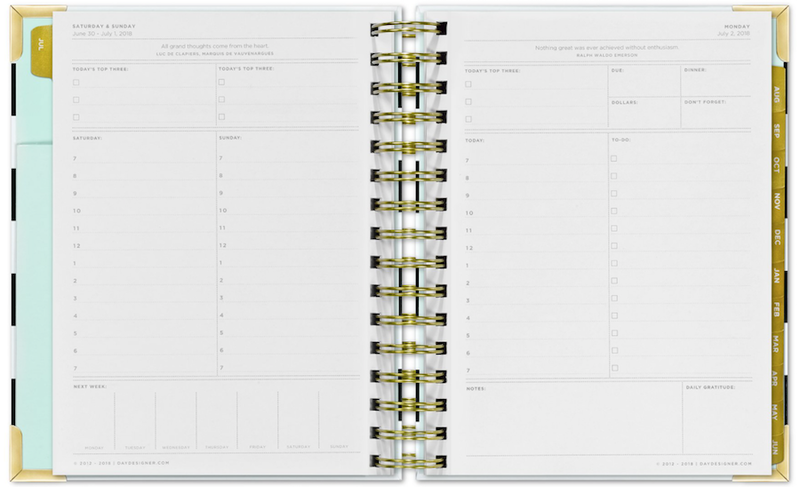 If you’re more of a personal planner type of person, the Day Designer also comes in an A5 size. I will say the one drawback of using the spiral version is you can’t really add in your own pages if you’re into that kind of thing. For me, I’m happy the way it is and don’t feel the need to mod it at all. But if you need to customize, an A5 may be better for you. There is also a Flagship style and the smaller version (which is the one I use). 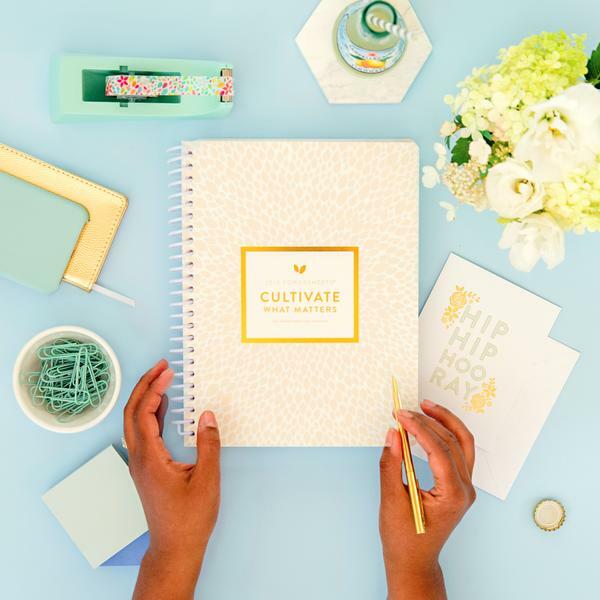 The planner also comes front-loaded with worksheets to help you with goal-setting and being intentional about how you spend your days. And if you’d like to “try before you buy” you can sign up on her email list to get a free planning page to print out and try. 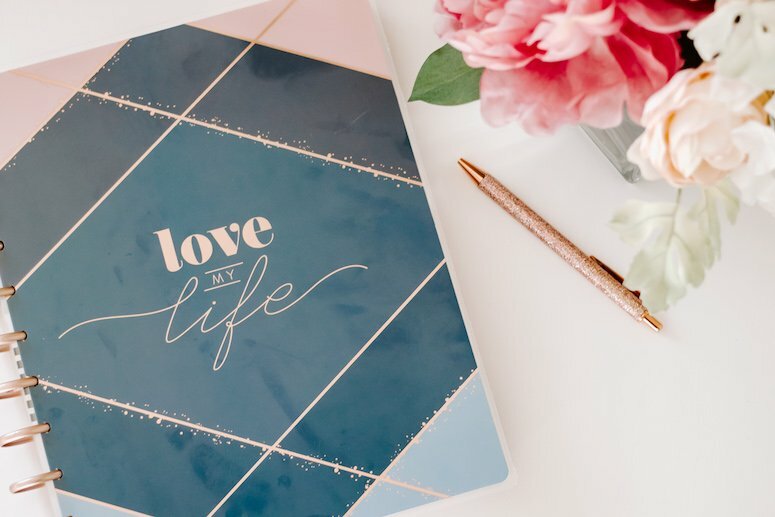 As a blogger, it’s really important to have an amazing blog planner because there are so many things to keep track of. For this reason, I like to separate my blog planner from my personal/biz planner. Especially since I run two businesses. 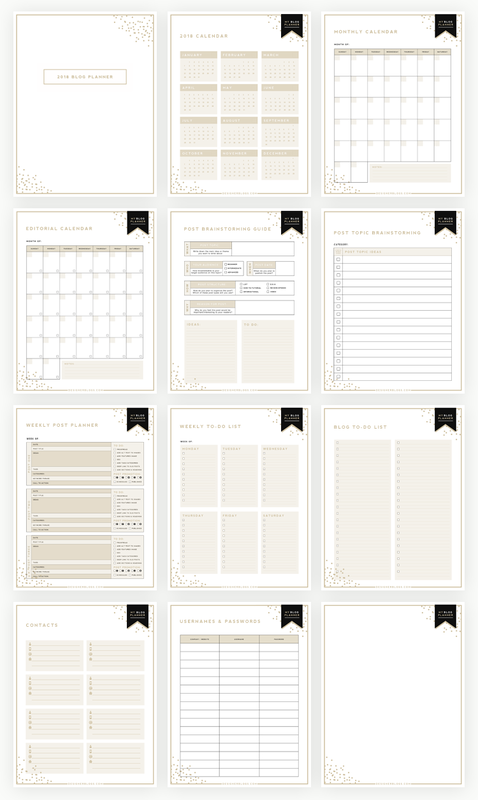 The Ultimate Blog Planner is a printable planner that comes in a variety of sizes so you can put it in any planner system you want. 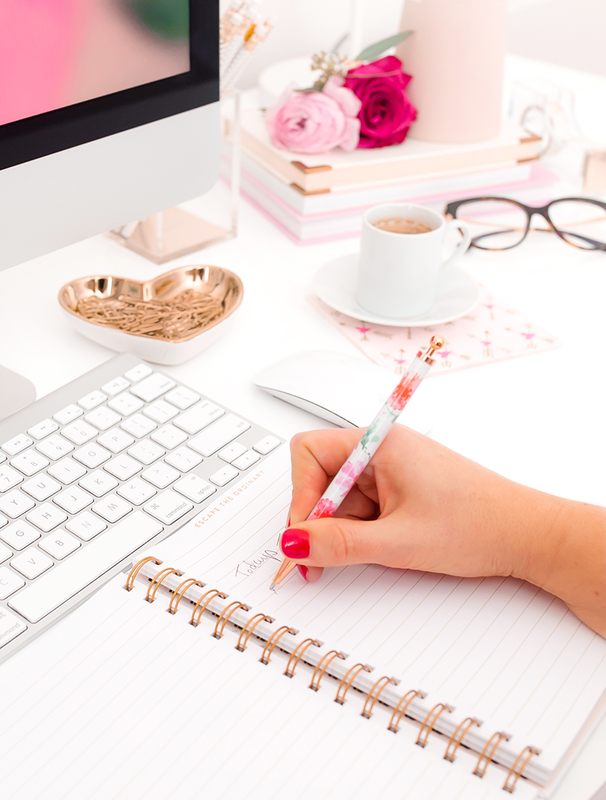 A blog is an entirely separate business, so it’s so helpful to have a planner just for that. I took out the daily planning pages and basically just use the month tabs, which you can see are really nice quality. I also use the month spread and then the rest of it is filled with the planner pages I printed out. I do have a few cute accessories from Create365 and bought some extra pages and to-do sheets as well. This system works really well for me because it’s big enough I can actually write and I can easily print any other pages or sheets I want off the internet and then use the hole punch to slot them in. I don’t use this planner for my daily to-dos. For that, see below. For more free blog planners, check out this post. Ok, that was quite the long list. But I hope it’s helpful in your planner shopping journey! 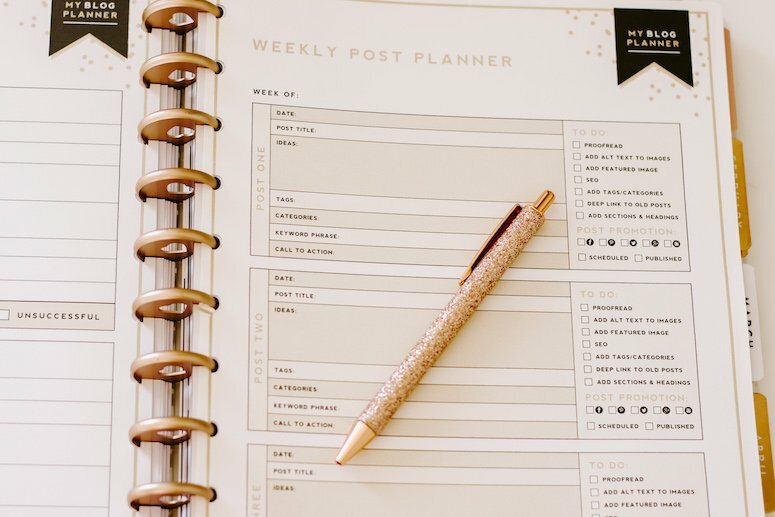 One thing I’ve learned is that it’s hard to find a one-size-fits all approach, which is why it’s great to use one thing for on purpose, like my blog planner, and another for personal. I am not one to spend hours planning, or get crazy on all the doodles and stickers. 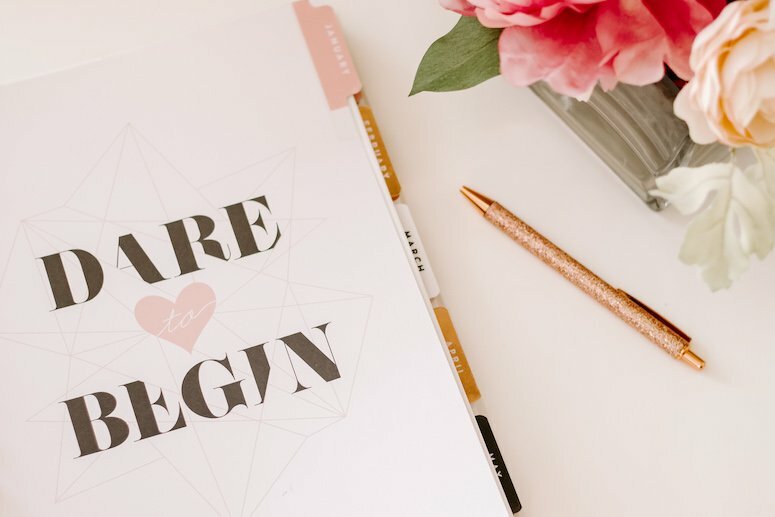 But spending a little time in the beginning and doing the prep work in your PowerSheets, which you can use in conjunction with a daily like The Day Designer, really will help you feel intentional with your time! 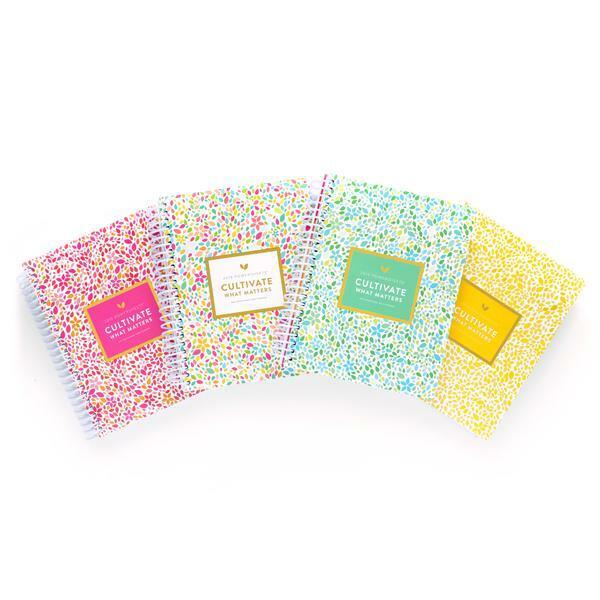 Which of these planners is your favorite? Let me know if there’s one you love I didn’t list in the comments below! All of these planners look so nice and I can see why you choose to have multiple! I’m just getting into using planners myself. I took many years off from having one but it’s nice to have a place to write it all down. What a cool planner! I love how organized and colorful it is! 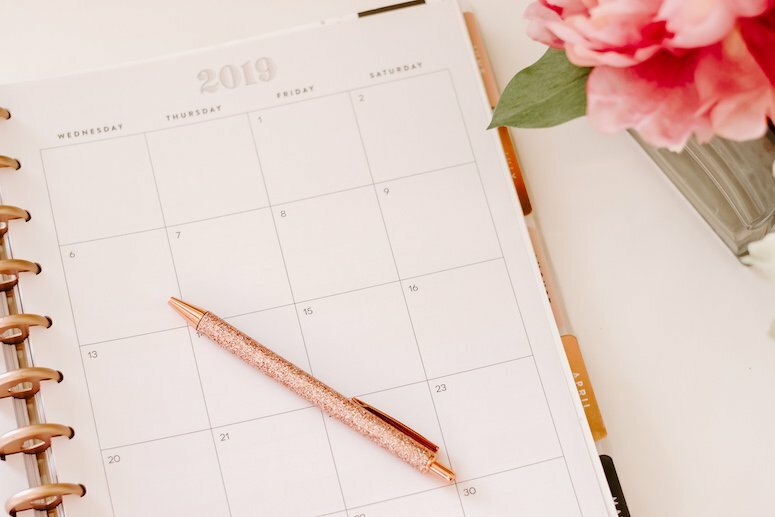 SO many fab calendars in this post! 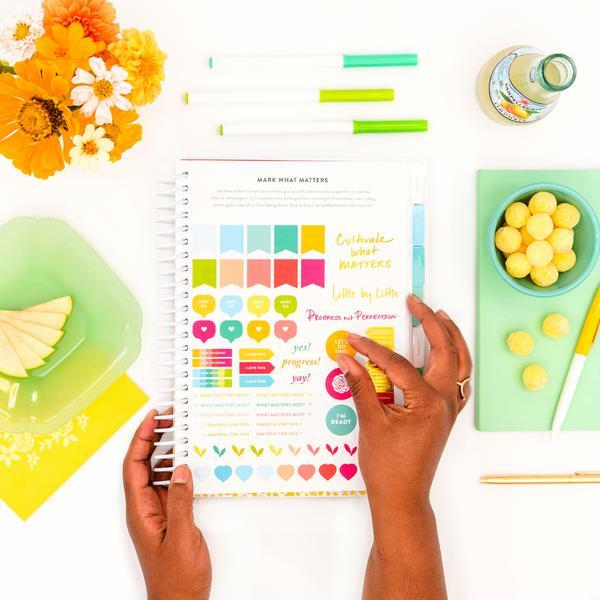 My favorite is Erin Condren by far! I love all of your planners and you are so organized. I wish I could be more like when it comes to that. How cute are these planners!! I’ve got to invest in one! 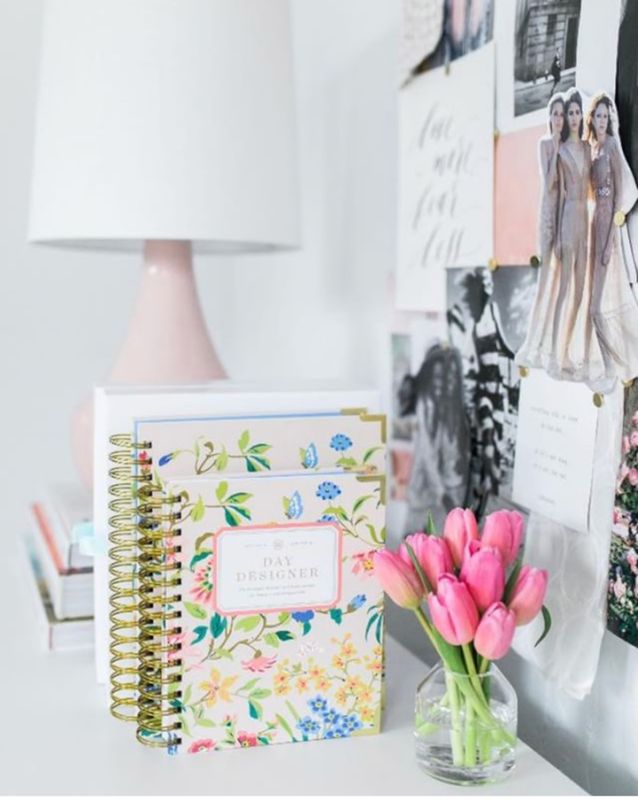 At this point I think I would feel lost without my digital calendar, but the paper planners are so pretty and I think I would feel so put together if I actually used one. Planning and organization honestly makes me soooo happy; this post is awesome; I need to pick a new planner! 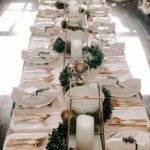 These photos are so perfect & have me wanting to get more organized! I use multiple planners too and have two businesses as well! it’s a lot to handle! 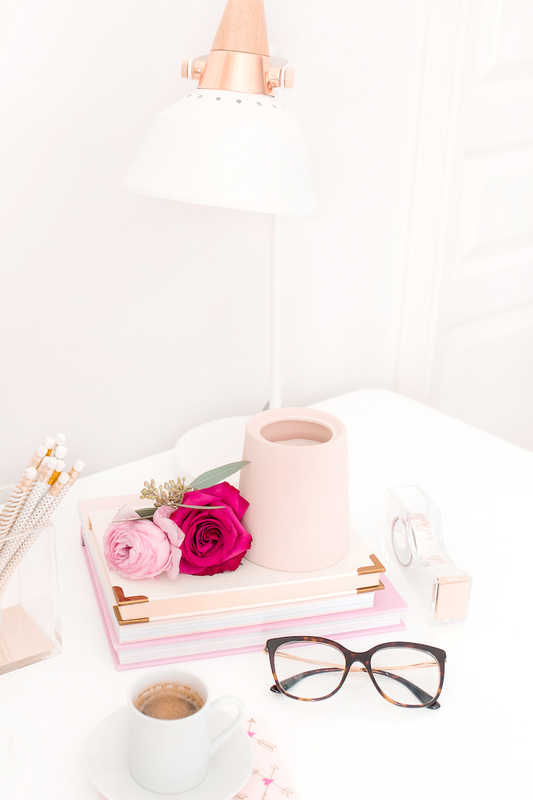 Definitely want to look into the blog planner pages – so convenient! So many fabulous planners! I love that last one your posted, it looks amazing!